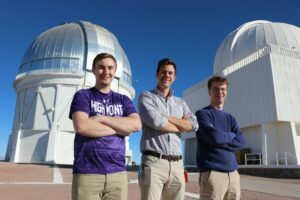 This story is featured in the Fall 2018 edition of the HPU Magazine. 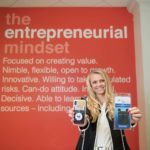 Below, learn how HPU students gain real-world, life skills through the pursuit of scholarship and apply them in the working world. Jordan Gannon got that question a lot inside the Smithsonian Institution’s Museum Support Center. It’s where the museum houses thousands of artifacts when they aren’t on display. At HPU, Gannon conducts research alongside Dr. Jillian Davis, assistant professor of exercise science, to uncover why plant-eating sloths have teeth like carnivores. And while accessing the Smithsonian’s collection is the kind of experience usually reserved for graduate students, Davis didn’t hesitate to ask the museum. That’s because Gannon was ready. Throughout her HPU journey, she’s completed multiple research projects and learned to overcome failure, accept feedback and present high-level findings to crowds of people. Each day, the High Point University senior checked in with museum staff, many of whom were Ph.D. recipients or graduate students, and used her 3D scanner to capture the museum’s collection of sloth skeletons across history. 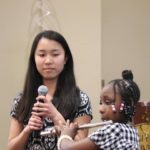 Her resume includes accomplishments like landing an internship funded by the National Science Foundation after her freshman year, helping scientists develop eco-friendly fish bait and conducting animal behavioral research at a conservatory. Those experiences don’t just look good on paper. 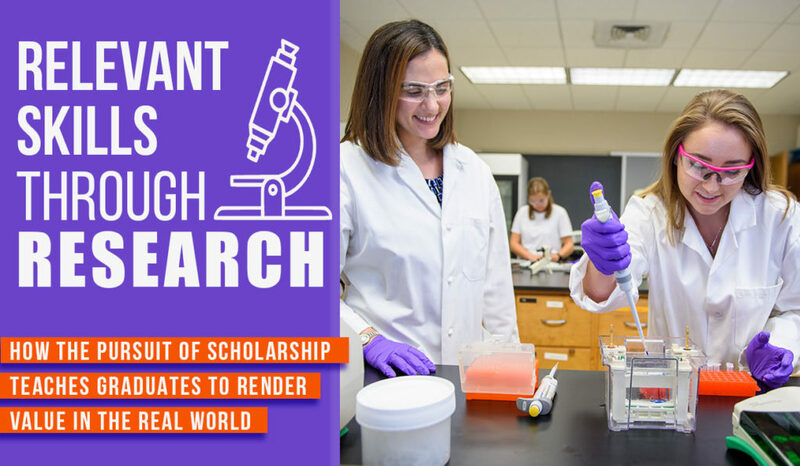 Dr. Joanne Altman, director of HPU’s Undergraduate Research and Creative Works, reminds students they’ll graduate college alongside two million other people every year. Their research helps them answer an important question: What will set you apart? Altman is an experienced psychological researcher who understands that graduates with research experience find success throughout their lives. She attributes that to the connection between life skills and academic research. 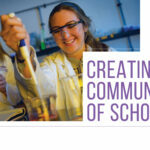 That’s why she built programs like Research Rookies and the Summer Undergraduate Research Institute (SuRI). 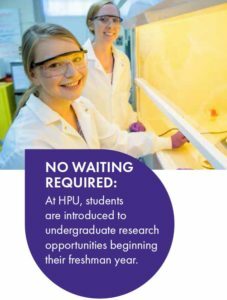 The programs are part of a multi-prong approach that get HPU students involved early in their academic careers. When Gannon finishes her scans at the Smithsonian, she brings them back to Davis’ lab where the work continues. 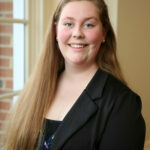 She’s one of many students who devote their time and energy to research programs year-round. So do sophomore Dax Loy and junior Hannah Lee Dixon. Loy is a computer science major from Austin, Texas, who jumped into HPU’s sea of opportunity as a freshman. That includes meeting and working alongside Apple Co-Founder Steve Wozniak, HPU’s Innovator in Residence. Altman champions the application of undergraduate research in all fields, not just the laboratory sciences. As a computer science major, Loy is an example of that. 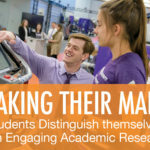 Students devoting time to research include those majoring in criminal justice, English, computer science, physics, communication, marketing and psychology. Through Altman’s focus on career preparation and life skills, students like Loy learn how their research can help them impress employers in many fields. Dixon, like Loy, finds meaning in her research. Alongside Dr. Melissa Srougi, assistant professor of biology, Dixon tests compounds that could provide safer treatment options for breast cancer patients. She’s seen aunts and grandparents experience the harmful effects, such as hair loss and lower quality of life, from current chemotherapy and radiation. But her work focuses on compounds that harm only cancerous cells — not healthy ones. And like Gannon and Loy, Dixon’s research experience rounds out her resume. 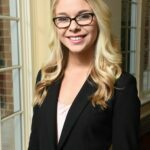 She’s a double English and biology major who’s built a plan to go to dental school. Srougi and Altman know her work as a researcher is an investment that will pay off for the rest of her life. Altman knows the everlasting value, too.